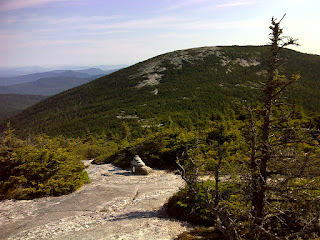 General Impression/Theme: The gauntlet continues here in the 'hard part' of Maine, including the infamous Mahoosuc Notch. It took me thirty difficult yo-yo day hikes (roughly two weeks for the average one-way thru-hiker) to get through the White Mountains and the Mahoosuc Range. People: 'Gumpy' and 'Peeper', successful father-daughter thru-hiking pair, hiking with 'Hawk' and another couple whose trail names I didn't get. 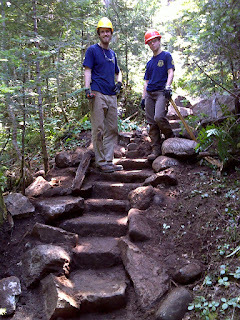 Met them coming down off East Goose Eye and then again in Mahoosuc Notch. Their hike is reported in full on Trail Journals. Second meeting with Harry and Leo, who did the whole trail virtually all by day hikes this year. 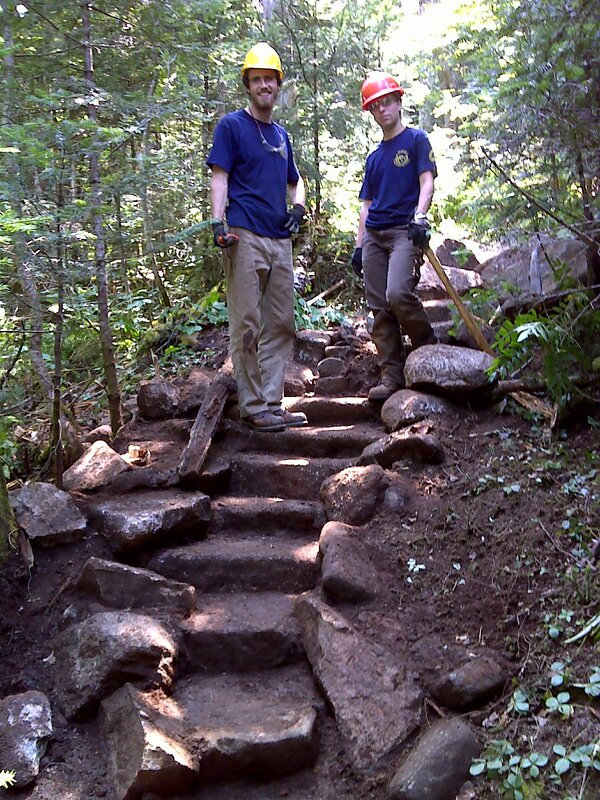 The hard working college kids of the Maine Conservation Corps, doing some exquisite new stone step work and stone water bars. Worst Memory: My second bee sting, with some allergic reaction - body rash for a couple days, just north of Grafton Notch. Also ripped my trusty Columbia Titanium nylon shorts and had to make a major repair. Best Day Hike: There are several outstanding day hikes in this section, but my favorite was the ascent over the massive bedrock slabs of East Baldpate, reached by hiking north on the AT from Grafton Notch, ME 26. 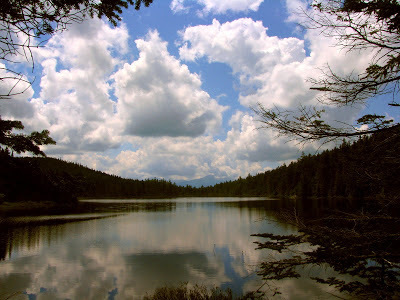 Second choice, and also a great hike, is a loop hike over Goose Eye Mountain from the Goose Eye-Cado Col Trailhead parking area on Success Pond Road - great views. Third, for the 'thrill seeker' whether fit or not, I'd recommend hiking the Notch Trail from the ample trailhead parking area off Success Pond Road up to Mahoosuc Notch and then hike down-and-back through the Notch - a little or a lot, as much as you care to do. The hardest part of Mahoosuc Notch is on that upper end, so you immediately get a sense of what it's like and can turn around if it's not for you. Amazingly, the approach trail - the Notch Trail - is a very easy two mile hike end to end, so that even the novice day hiker who wants to do a little rock scrambling can get a taste of this infamous toughest mile of the Appalachian Trail. A fourth great hike takes you the other way (south on the AT) from the Grafton Notch parking lot. This is the popular climb up to the Old Speck fire/observation tower via the AT and then an 0.3 mile side trail to the wooded summit (excellent views from the tower). 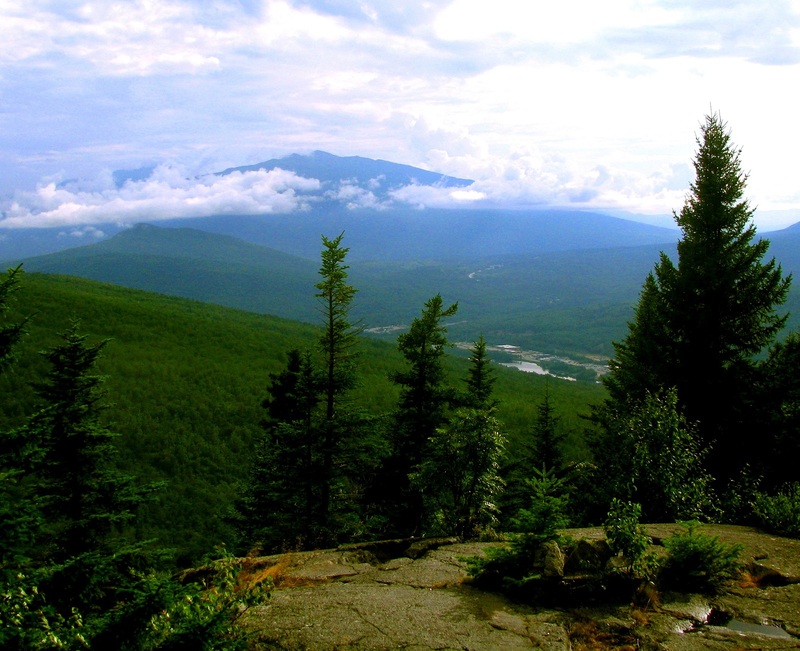 There is an opportunity for a loop hike via the Grafton Loop trail. Finally, though I didn't do this whole hike, there's a fine day hike coming up from North Road, Gorham via the Peabody Brook Trail (small roadside parking spot in what seems like a residential neighborhood) to Dream Lake (which I did visit). From the end of the lake closest to the AT, the water frames a picture-postcard view of Mt. Madison. There's a good loop hike from there past Dryad Falls and back down to North Road via the Dryad Falls Trail and then the Austin Brook Trail. I agree with all of your suggested day hikes and I would add one more: Up the AT from the North Road to Mt. Hayes, keep north on the AT to Dream Lake and come down the Peabody Brook Trail. Be sure to check out Giant Falls near the bottom of the PBT.